For Eternia! In 1982, the world was introduced to He-Man and the Masters of the Universe. What followed was a cultural sensation that changed the landscape of children's entertainment forever! 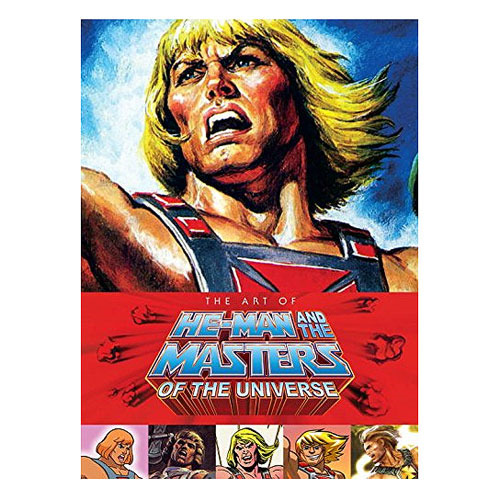 This Art of He-Man and the Masters of the Universe Hardcover Book is definitely a must-have for any Masters of the Universe fan! Join Mattel and Dark Horse in this comprehensive retrospective chronicling He-Man's decades-long epic journey from toy, to television, to film, to a true pop culture phenomenon! This beautiful hardcover collects over 30 years of behind-the-scenes material, lore, and classic art! Includes rarely seen images of concept sketches, prototypes, and more from Mattel's archives! Features beautifully restored art from master illustrator Earl Norem - celebrated artist of He-Man's most memorable images! Made in close cooperation with Mattel and He-Man historians! The first official Masters of the Universe art book ever! Full color, with 320 pages. The hardcover book measures approximately 12-inches wide x 9-inches tall. Ages 15 and up.